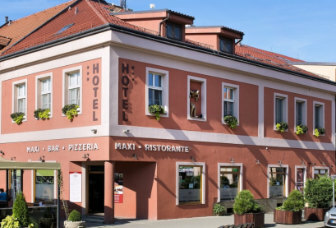 Hotel Maxi offers accommodation in the historical centre of Uherské Hradiště in South Moravia. The hotel is modern, with historic furnishings and antique decorations. It has a lovely and calm atmosphere. 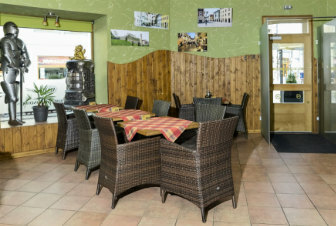 The overall conception of the hotel is based on the distinctive approach of the hotel owner – the Rossi family, which is dedicated to providing professional services in gastronomy and accommodation. They are benefiting from their professional experience from their native Italy and from Germany. Smoking is strictly prohibited in the entire hotel and the hotel restaurant.